There was music in the air at Vadapalani Metro Station, Chennai on 3rd December, 2017. 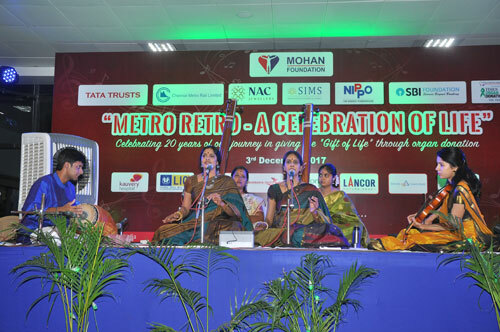 In a first-ever musical event, a Carnatic music concert was organised at a Metro Rail Station in India. 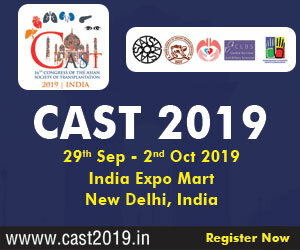 The event was organised to celebrate the Golden Jubliee of the first heart transplant in the world and to acknowledge heart transplants being done in India more so in Tamil Nadu. 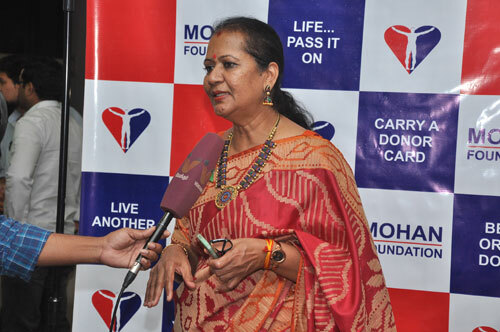 The concert was organised by MOHAN Foundation in honour of its 20th anniversary, in celebration of its journey in giving the ‘Gift of Life’ through organ donation. 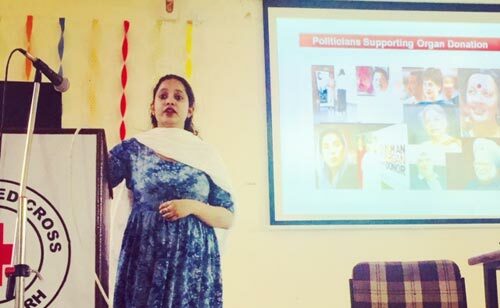 The event began with Mrs. Lalitha Raghuram, Country Director, MOHAN Foundation welcoming the audience, she spoke about what inspired her to organise an event like this. 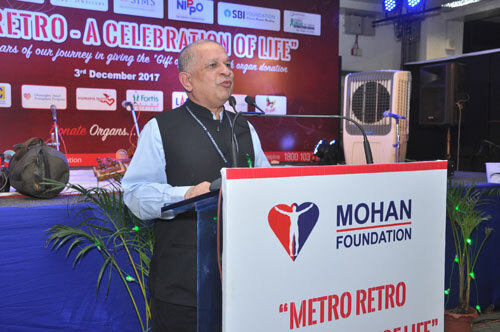 Dr. Sunil Shroff, Managing Trustee, MOHAN Foundation gave the welcome address. 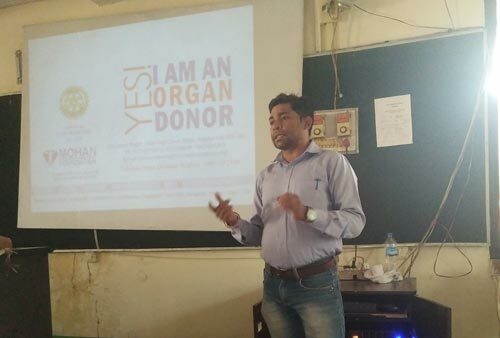 He made the audience aware on how India has developed in the field of transplants and the road it has ahead. He acknowledged that 3rd December was the 50th year that the first heart transplant was done by Dr. Christian Barnard. 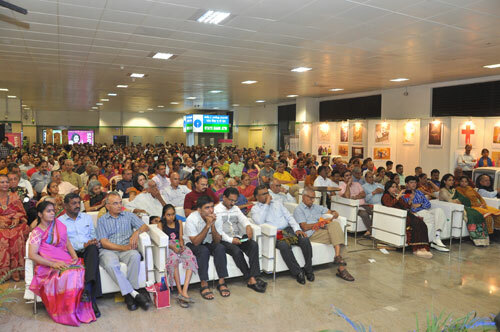 Present in the audience was Dr. J. Radhakrishnan, IAS, Principal Secretary, Health and Family Welfare, Govt. 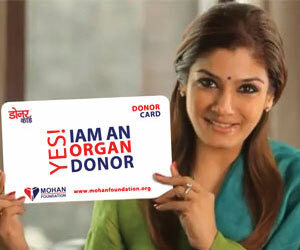 of Tamil Nadu who has always supported the cause of organ donation. Dr. J. Radhakrishnan along with Dr. George Kurian felicitated various sponsors that helped support the cause such as Chennai Metro Rail Limited, NAC Jewellers, SIMS Hospital, NIPPO, Tata Trusts, SBI Foundation, Times of India, Kauvery Hospital, LIC, Gleaneagles Global Hospital, Aishwarya Trust, Fortis Malar hospital, Lancor, Canara Bank and Co-optex. Other eminent people in the field such as Dr. K.R. Balakrishnan of Fortis Malar who has performed 113 heart transplants, Dr. J Amolorpavanathan, Former Member Secretary, TRANSTAN were also felicitated. 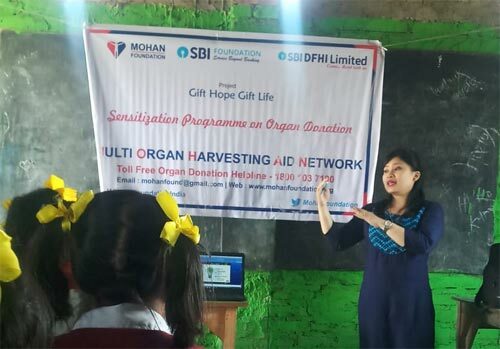 MOHAN Foundation took this golden opportunity to also thank Donor Families for their bold step in donating their loved one’s organs. 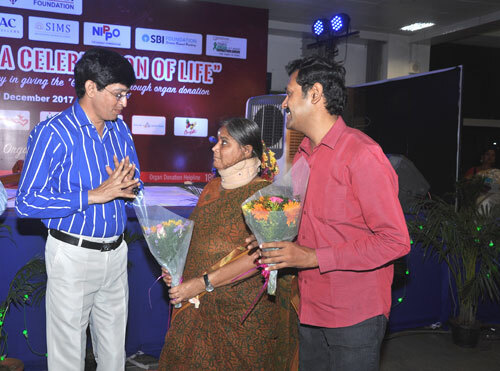 Aishwarya’s mother Ms. Rama and uncle Mr. Sathyaprakash were felicitated for coming forward to donate Aishwarya’s organs. 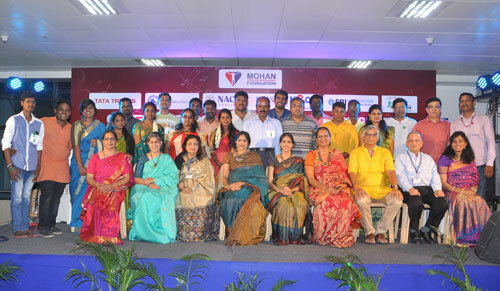 Heart recipients from The Madras Medical Mission and Fortis Malar Hospital were also felicitated. 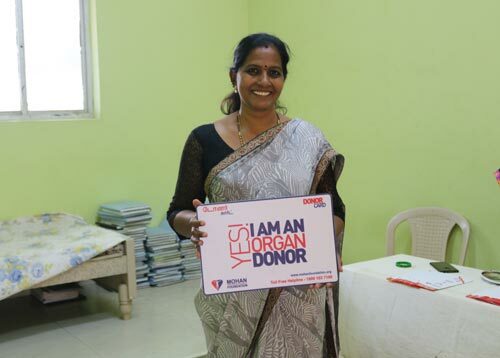 Mrs. Priya Jebakaran, Transplant Coordinator of Madras Medical Mission was also felicitated. The time had finally arrived when all ears were eagerly waiting for renowned Carnatic music vocalists Ranjani & Gayatri to perform. 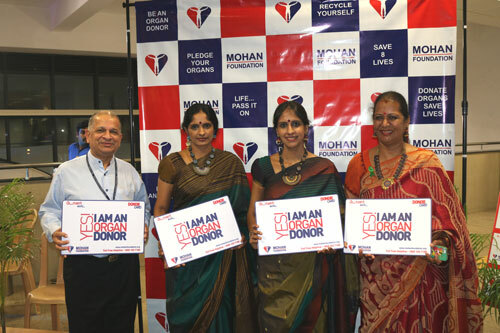 The musical sisters readily accepted the offer to spread the message of organ donation through their singing. One of the numbers rendered by the sisters was their main piece “Vallamai Tharayo” in “Mohanam” Ragam dedicating it to organ donation and the Foundation. One could see the audience tapping their hands or swaying their heads to the musical beat, while others preferred getting into the music and listening with their eyes closed. Many passersby stopped to hear their melodious voices. 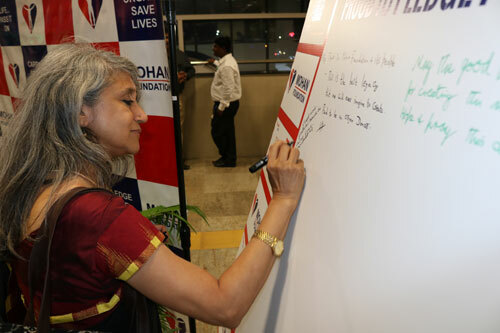 Many said this was truly an event to remember, with its unique choice of venue for a music concert and to spread the message of organ donation. 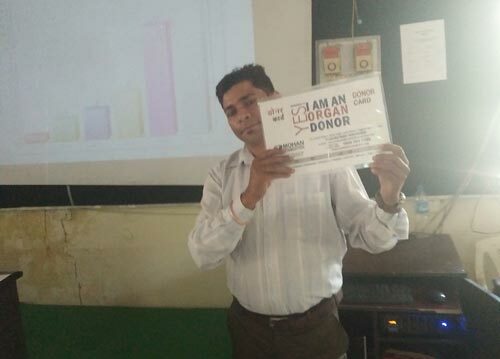 Around 80 people pledged to be organ donors and picked up a donor card. We would like to thank all those who made this event a success.